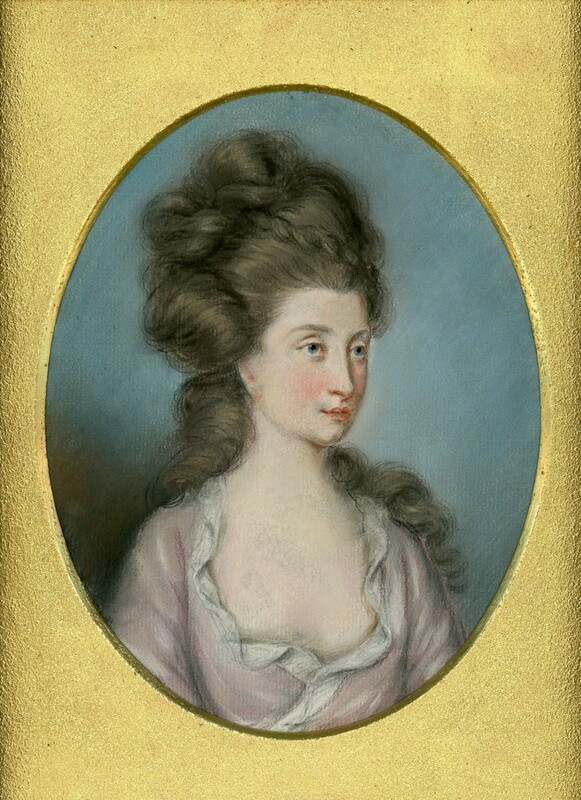 A fine pastel portrait of a demurely elegant young lady with blue eyes and a dimpled chin. 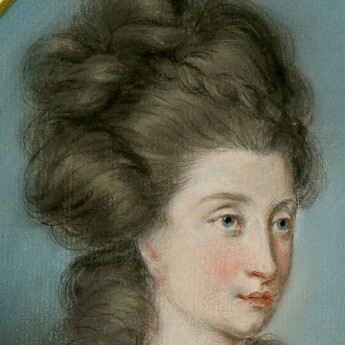 She is shown wearing a décolleté mauve gown with a cross-over bodice and a round neckline edged with white, her brown hair arranged in a fashionable coiffure with curls tumbling over her shoulder. As with so many of Hamilton’s portraits, the identity of the sitter has become lost thereby adding a layer of mystery. 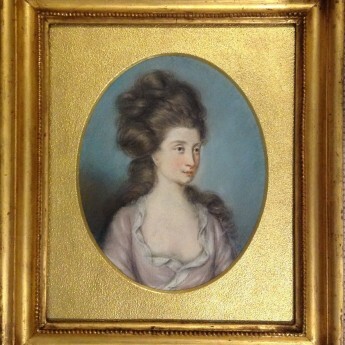 Pastel and graphite on paper set in a period giltwood frame with a beaded border and an oval window, circa 1770s. Fine condition; small losses to the frame corners. 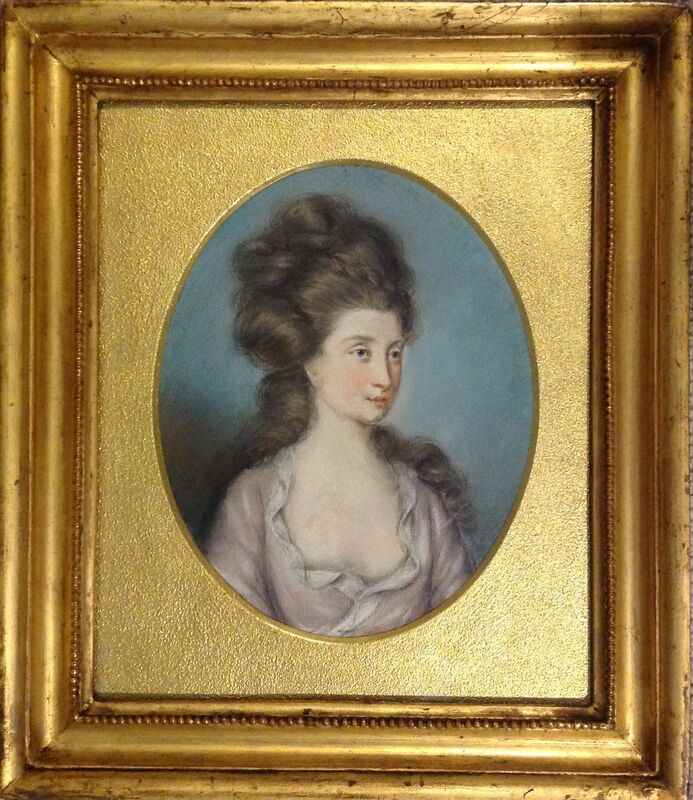 The son of a Dublin peruke-maker, Hugh Douglas Hamilton attended the Dublin Society’s Drawing Schools winning a prize for drawing in 1755. 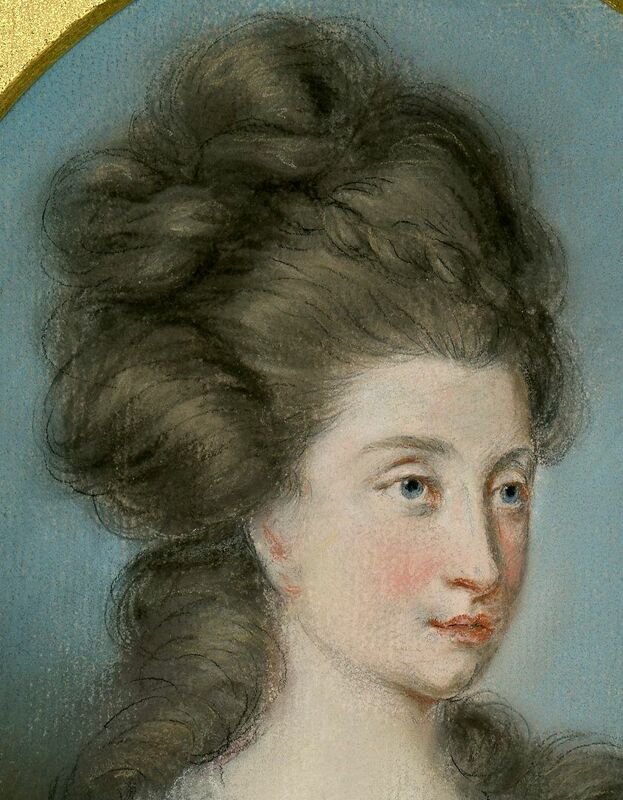 He moved to London in 1764 and soon established a reputation for oval pastel portraits which formed a veritable ‘who’s who’ of Georgian society during the latter part of the eighteenth century.